From vineyard rookies to those connoisseurs who need a new angle on the Okanagan wine scene, try a Heli-Wine Tour. This is a one of a kind experience tailor-made by you which combines scenic helicopter flights around the Okanagan with stops at your choice of several participating wineries to enjoy the beverage that has made the valley so well-known. 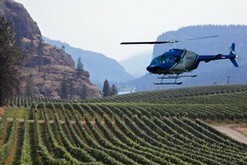 Valhalla Helicopters has agreements to land at approximately 30 vineyards around the Okangan, Shuswap and Similkameen. A full day Heli-Wine tour is a 6 hour experience - starting at 10am and ending at 4pm - where you select about 4 wineries to visit. 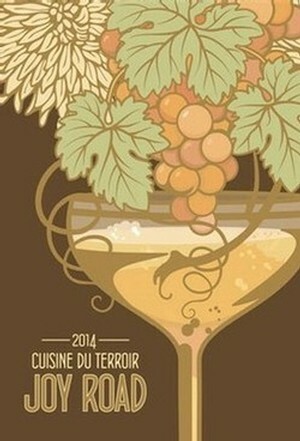 There are over 30 participating wineries from the Shuswap in the North to the US border in the South. You may choose to go north with winery options in Kelowna, Lake Country and Salmon Arm, or select a southern route with vineyard choices in Lake Country, Kelowna, Summerland, Naramata, Penticton, Okanagan Falls, Oliver, Osoyoos, Cawston and Keremeos.The helicopter can seat up to 4 people (weight restrictions apply), but some wineries are only accessible with one couple onboard. Most wineries have picnic spots and several have restaurants or will do a special catered lunch if you'd like to add that on. Click here for a list of the Heli-Wine Tour Participating Vineyards. Book by emailing tours@valhallahelicopters.com or call them at 1-866-769-1486. Do you ever ask yourself what is the best wine in my price range that I can buy in this store right now? Now there is a way of finding out. 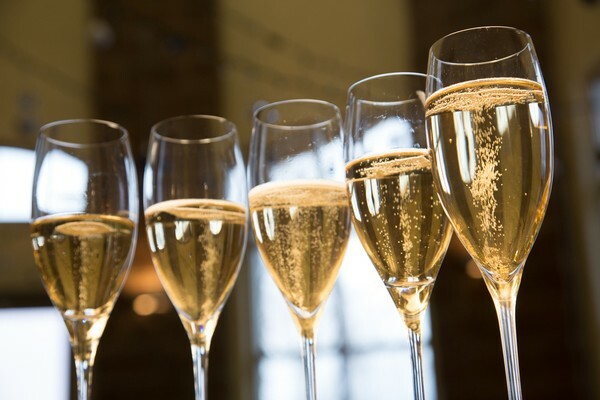 WineAlign, Canada’s largest and most popular online wine site recently launched in BC and has more than 4,500 wines from the British Columbia Liquor Distribution Branch in its database with more being added every day. WineAlign was founded four years ago by Toronto web entrepreneur and wine lover Bryan McCaw, with the aim of providing immediate, objective and comprehensive advice to shoppers at Liquor Control Board of Ontario (LCBO) stores. In 2012 WineAlign attracted over 967,000 different people, making it one of the busiest wine sites in Canada. WineAlign now provides B.C.-based wine consumers with ratings and multiple critic reviews on wines available at their local BC Liquor Stores. It will also provide inventory levels at their nearest BCLDB store. Following its debut in B.C., WineAlign will be exploring partnerships with private wine retailers in an effort to provide an even wider service to B.C.-based consumers. Here is a review of Blue Mountain 2011 Pinot Noir by David Lawrason as an example of the type of information available on the WineAlign website. "This is a light, spry, savoury, young and very complete pinot sports lifted cranberry, currant fruit with floral notes and beautifully integrated oak vanillin. It’s slim, tight, savory and complete. Excellent length here, with minerality, fruit and herbal notes nicely intertwined. Easy to like now but give it a few months to soften a bit. Should live through 2017." David Lawrason, Tasted February 2013. To access this and other reviews sign up for an account with WineAlign.